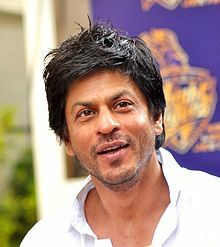 Bollywood Actor and Co-owner of IPL team Kolkata Knight Rider Shahrukh Khan has said that he wants to add Pakistani Players in his team. Shahurkh said Pakistan Played for us in First IPL and we also added them in 2nd IPL but they where not allowed to Play and this year if there will be any slots left we will love to get Pakistani players. Before in a program Shahrukh also told that he wanted to get Abur Razzaq for his team.